Apron. 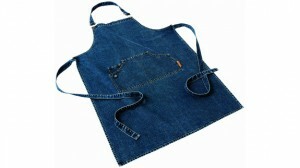 The original denim Jamie Oliver apron that he always wears in his television programs. Denim.